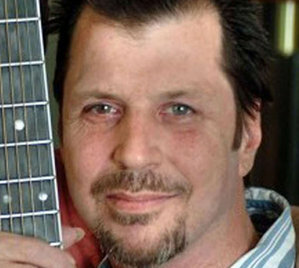 BRISTOL TOWNSHIP, Pa., Jan. 1 (UPI) — Authorities were looking for whoever shot and killed blues guitarist Daniel DeGennaro in suburban Philadelphia. The 56-year-old musician and songwriter was found with a fatal shotgun wound to his chest Wednesday night near the front door of his home, The Philadelphia Inquirer reported. Bucks County authorities ruled the death a homicide Friday, the newspaper said. Nick Wilson, who lives near DeGennaro’s house in Bristol Township’s Levittown community, said he called authorities after a tenant living in DeGennaro’s basement showed up at his door in a panic. “The house looked like it was robbed, and someone got hurt really bad,” Wilson said. Investigators said they questioned the renter and do not consider him a suspect, the Inquirer said. They said none of several guns removed from the residence were believed to have been used to kill DeGennaro. According to his Web site, DeGennaro had also performed with Bo Diddley and the late E Street Band saxophonist Clarence Clemons.